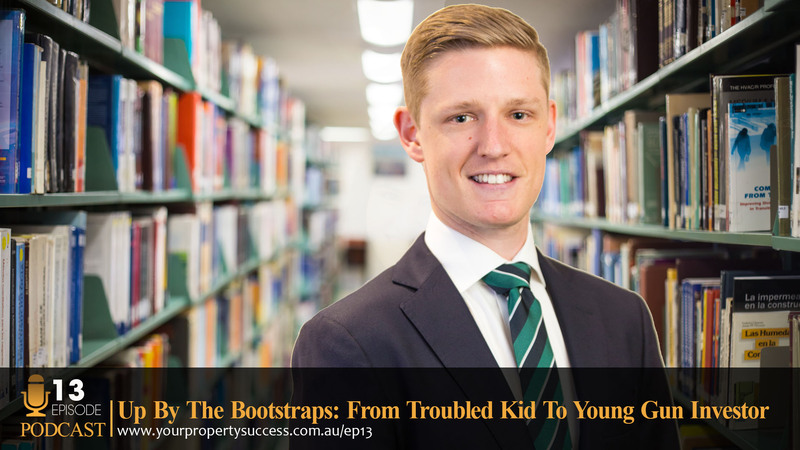 From the ‘school of hard knocks’ to owning an investment property while at university! Today’s podcast is definitely one out of the box! Our very special guest is young gun investor Tristan Von Sierakowski. Tristan’s success against the odds, is surely one of our most inspirational episodes to date! Knowing that someone’s always there and always supporting you, makes the world a difference. There’s no better time than the present. So as soon as you start on that path the better. And now, here’s your host, a lady who once fell down a well while attempting to collect Holy Water, Jane Slack-Smith. John Hubbard: How did you know the difference between a well with Holy Water and a well without Holy Water? John: You had a nice glow to you. Jane: And I had a glow to me and Maureen looked at me and said, “I think you got enough.” And then we didn’t mention it ever again. Jane: Okay, let’s move on. 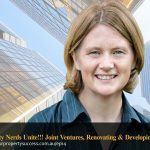 A big welcome to Your Property Success Podcast and Episode 13. We really appreciate you taking the time to join us today and John we have a very special episode don’t we? Jane: I think this could actually be one of our most inspiring to date. Jane: So, what did we do? Of course, we’ve tracked down Tristan. So without further ado, get yourself comfortable for an inspiring chat with today’s wonderful guest, Tristan Von Sierakowski. Jane: Hello Tristan and welcome to the Your Property Success Podcast. Tristan Von Seiralowski: Thanks for having me Jane. Jane: So, who is Tristan Von Sierakowski? Tristan: Alright. I guess I’m a 27-year-old property investor with two properties at the moment and I work full time as a property valuer. Jane: Right. So, for people who are listening, can other people replicate what you’ve done and if you could I guess let us know, did you have some advantage starting out that gave you the opportunity to jump into properties so soon. Tristan: Well, I guess your first part of a question, can they replicate what I’ve done— to a certain degree. Everyone’s got different circumstances but I guess there are parts of it that we will able to pull out or pick apart and use themselves. In terms of if I had an advantage, I didn’t have an inheritance or anything like that. I came from a very low income family, just a single mum basically who is my foster mum and I had no real inheritance other than what she kind of taught as a child and I guess I did have – everyone, to a certain extent, has a bit of fortune, a bit of luck and there has definitely been help along the way not so much financially but as we go through you’ll see I’ve got some siblings that in their 40s and definitely they were able to help, one of my sisters was able to help me throughout my processing providing one I stay with her for a while living with her and she’s able to – I was able to live there with no rental, no paying monthly expenses, I was able to save a lot that someone else could if they have those expenses, so there has been things like that and definitely support from the family and so that has been more of the support than say, financially. Jane: And tell me, it sounds like you have some difficulty in period growing up as a child, how do you think that affected you? If you want to just go back and tell us a bit about that. Tristan: Yeah. I’ll just give a brief review. My biological parents divorced when I was two and I was born in Karratha which is a mining town in Western Australia. Once they divorced, me and my mother moved to Canada and I lived there until I was 7 or 8. We then moved to Darwin in the northern territory. I lived there for about a year or two and then moved in – due to some circumstances, my mum could no longer look after me, so I moved in with my biological dad who was then in Melbourne at the time and then lived with him for a year or two but he kind of was not ready. He was a bit older at this stage and wasn’t really ready or prepared at any stage to have a kid and so things played out and in the end I moved in with a family friend who eventually fostered me and she had three kids of her own who were all a bit older, now they’re in their 40s, at this time they were all in their 20s and 30s. But yes, that’s how it played out and from then on I lived with her and she looked after me. Jane: What was her name? Jane: It sounds like Judy is someone who really took a fledgling child who was probably being moved around a bit and gave you some stability and what else did she do for you? Tristan: Yeah, absolutely. When she got me, I was about 9 years old and was totally just below average in everything—academically—I was a pretty naughty child I guess but I was this kind of off the rails and just had no stability growing, so it was quite what you would expect in a child but she had the patience and just worked with it. Every night, we would read books and go through—and she taught me everything and took me in remedial math and English and everything, so eventually doing quite well and then being able to get into university and finishing at the top of my university. Jane: I have goose bumps here Tristan. This is someone who has had an incredible impact on your life and I gather that kind of belief in yourself and having someone else believe in you and put the time and effort into it, it just makes such a difference doesn’t it? Tristan: Ah, a hundred percent. Even nowadays, we talk most days and if I’m maybe feeling not a hundred percent confident in something or I’ve got a worry or a doubt, she will just kind of just set me on the right track and talk me through it and she always has my back and always has that confidence that it might be hard or it might take a bit of work but you will be able to get through it. Knowing that someone is always there and always supporting you makes the world of difference. Jane: Absolutely. Going from that kind of that turbulent childhood, you finished school, what happened then? Jane: For the rest of your life. Jane: What are you going to do for the rest of your life? Tristan: Yeah, exactly and I really didn’t have much idea and at that time, I had my best friend who was going into the defence force into the Navy and I like the sound of that and then I guess – so I kind of pursued that with him and he is in the defence force as we speak. He has been in it for 10 years but I kind of also – with using that as an – if I was to be brutally honest, I was using that as a bit of an excuse to get people off my back a bit. Jane: Off your back. Yup. Jane: You’re joining the Navy, seeing the world. Tristan: Yeah, joining the Navy, see the world and then people were kind of satisfied with that answer. But what I didn’t expect was I started going through that process and going into the officers training but doing these random interviews and psychological tests and clinical tests and I was doing all of those and that was over for about a 12-month period and right at the end just before my final interview, I really decided it wasn’t for me. My heart wasn’t in it and it wouldn’t be fair. My best friend who is now in it, it was his passion, and I really felt that if I went through that it’s really degrading what those men and women who are serving our country do, so I really don’t want to do something just because I fell into it and I couldn’t do it with all my heart. So right at the end, I kind of pulled out. Jane: Which would have shocked a few people I imagine, maybe not Judy. Jane: -the next stage for her. Jane: And you’re thinking about going to uni, so that would’ve been a bit difficult in itself. So, who did you live with? Tristan: Yeah. So, at that stage, I spent a couple of months with a friend and his family and they’re kind enough to kind of just let me live there and then eventually I lived with one of my sisters who was in her 40s at this stage—or late 30s, sorry. She had room in her house and she said, okay, you can come and live with me. You can either live with me, pay rent and board, and pay your fair share and work, or you can spend that gap year to save up and get a house deposit and I wouldn’t have to pay her board if I went down that route. Jane: Wow. That’s a great option. What a good sister. Tristan: Yeah. Quite wiser. She said, “Look, you can do the whole the 18-year-old party scene, but you’ll be working and paying rent and board or you can knuckle down, work hard, put together a home deposit and you won’t have to pay anything while you live with me.” So that was a really good option. Jane: Where did that come from? Is she in property? Did she the opportunities that property investment or the stability that it could give you? Tristan: Yeah, definitely. She is quite successful property developer around the bay side region in Melbourne, Victoria herself. So, she’s always had this strong background in property an realise how many opportunities it can provide and I guess even growing up, like, our mum didn’t have that much money but she was always into – she’d love to renovate or do the little things that she could and she always, even though we really didn’t have much money to go into property investment or development, she always loved the thought of getting into property and so I guess she instilled that in my siblings and my sister and then my sister followed that and was able to use property development as a vehicle to build—she did quite well and built a fair bit of wealth that way. Jane: She gave you those options and you obviously took the option where you didn’t pay any board and you’re about to start saving some money so that you could buy a property. If there’s someone at that same stage today, tell us your thought process and the first plans and steps into getting into your first property. Jane: You saw the alternative, 40 hours a week for the next 40 years. Jane: Wow. That can help. Tristan: Yes. That was a huge help back then. Jane: So, your first investment was really your first time and you could optimise. So, how much of a deposit did you have? Tristan: After 12 months, I saved about $30,000. Jane: Wow. And then $32,000 from the government. I can’t imagine that K-Mart and the bowling alley played that well. What were you on to allow you to actually to save the $30,000? Tristan: For the K-Mart, I was on a full-time basis for that. It would’ve probably been about $14 or $15 an hour actually and I was fortunate at the bowling alley they employed me as a casual but I was basically working full time hours because I work there on the weekends as well. So, I’ve worked both jobs about 40 hours a week and they were paying a bit higher which was maybe about $20 or maybe $18 an hour on the casual basis. Jane: So, you’re earning about $50,000 a year and you saved $30,000. That is an incredible story in itself. You didn’t spend a lot of money obviously. Jane: What was the name of that father? Tristan: It was my friend Oliver and his father’s name was Vito. Jane: It’s amazing. Just listening to your story, you found this incredible supporter that picked up a 9-year-old boy and gave him the confidence and the knowledge and learning to enable you to get through school and do a couple of degrees and then your sister was a real supporter and gave you that lead into giving you some options not just in saving money and looking at investing at a property or buying a home at 19 years old, but also encouraging you to go overseas and have that time as well. And just with that and then having another supporter to come in and go buckle down, get on with it so that you can live the life that you want later, it sounds like you’ve had some incredible people in your life that have really come in at the right time and giving you an amazing opportunity. It’s great and I think that a lot of people who are listening, we often sit back and go, if only I had been with an inheritance or if only I had something I could get someone who’s working from 8 o’clock to 11 o’clock at night to get a deposit, that’s truly inspiring. And I think that—were you one of the first people that you knew that went to university already owning a property? Tristan: Yeah. Definitely at that stage going through university, there’s no one that I was in university with out of my circle of friends that had a mortgage or a property, so it’s definitely a unique situation. Jane: Can you tell me about that first purchase. Tristan: Yeah. So, the first purchase was an off-the-plan apartment in a kind of a bay side suburb called Edithvale in Victoria and I decided kind of go off-the-plan just to minimise stamp study and through the first time buyer’s grant was more favourable for an off-the plan purchase at that stage. Jane: Was there someone who kind of directed you in that path? Tristan: Again, yes. My sister was someone who had directed me and at this stage she had given me other contacts like a mortgage broker and he was definitely one of the other major helps because he knew all the ins and outs and knew exactly – he’d seen it all before, so he could really work with me with my situation and get me the best deal and there is no way at 18 or 19 walking into a bank with skinny jeans and Converses, they would’ve just laughed me out of there and I had no idea what I was doing either. He was able to structure everything for me and really kind of help me out and deal with the bank. And also, I was working non-stop, so I just didn’t have the time to kind of do that myself. Jane: That’s great. Tell me, so you bought off-the-plan at age 18 or 19, went to uni, when did the property actually settle? Whilst at your uni or before that? Tristan: I purchased it when I was 19 and I believe it settled maybe when I was 20 or 21, so yeah I was definitely still at uni. Jane: Okay. And still working obviously as well. Tristan: Yeah, that’s right. Full-time university, trying to work full time and for a while there I was working kind of two jobs and university and in the end I cut out one of the jobs and was able to work longer hours in one which is more beneficial for tax because you get taxed so much on your second job and then I was going to university, so I needed that supplementary income to help support the mortgage, so that’s when those borders came in really handy. Jane: Any advice to people who are considering having borders in their property? What they should look for on those interview questions? Tristan: No. I’ll admit I really had no idea and I guess one of the things—it’s just hard. Some of the people that looked so good on paper just turned out to be, you know, they wouldn’t keep it very clean and they’d be disrespectful and they’d be up all night whereas some of the other people, you really can’t judge a book by its cover because some of the other people that didn’t really come amazing on paper were some of the best borders, so you just got to go in there with a complete open mind and just make sure that you guys also click personality-wise. I think that’s the main thing and you’re on the same page. Jane: Absolutely. So, tell me, what were you studying at university? Tristan: When I first started university, I was doing an accounting degree. Again, it wasn’t my passion but I just kind of like the sound of accounting and that would be something that I could get into but doing a year of that, I realised that I didn’t light my fire and it wasn’t my passion and I wasn’t very good at it. Maybe because it wasn’t my passion, I wasn’t doing that well. In the meantime, my girlfriend at the time who is now my fiancée, she was going to another university. She was in a commerce degree as well but they also did a double degree so it was bachelor’s of commerce and another degree which is bachelor of property and real estate which I didn’t even known universities offered. Jane: And what do you learn in bachelor of property and real estate? Tristan: Yeah. 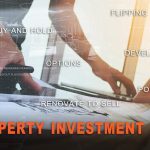 So, they do business subjects like property investment, go through the fundamentals of development and planning, kind of all the facets of property investment, property in terms of sales. I was majoring in marketing for that one and for my commerce degree I was majoring in economics but they kind of go through a range of all of the facets of property and just give you kind of a broad basis in the property industry but I guess one of the major reasons for doing a degree in property is that you can go on to become a certified property valuer which you need about a tertiary education to get that qualification. Jane: Which you subsequently did? Tristan: Yeah. When my girlfriend my at the time said move university, then continue doing that commerce degree but I changed my major obviously from accounting to economics and do the property all of a sudden, I went from an average student to a high-distinction so basically all of my subjects which was—I’m not all clever I’ll admit. I just a free solid work ethic which I inherited from my foster mum and it was my passion. I just loved property and loved it all and I was able to just perform that much better it’s just surprising which is always what she said, just follow your passion and you will be able to go from there and it was just so amazing. Jane: And tell me, obviously, you’re following that passion, you got the right degree and the fact that you kind of had a couple of gap years and you tried things and maybe it wasn’t for you and the accounting wasn’t for you and you moved things, you’re constantly trying and learning things, but when you weren’t into that property real estate course, did that then give you a fire to build your own portfolio? Did that change where you were, where you’re thinking you’re originally you’re one and done with your first home or did this really opened up options for you. Tristan: Yeah, definitely being around like-minded people who are all doing the property degree and all had similar—they all had their own thoughts on property investments really gets the creative juices flowing and definitely from there I definitely got the bug to hold on, let’s look into this and use it as a vehicle for wealth for financial stability. It definitely went from the investment property , the first one which turned out to be where I was living but then I was like “I could keep going with this” and something I find really interesting so might as well. Jane: So, I’m just going to step back to that first property. What are the benefits or what would you do differently today on that very first property? Any thoughts? Tristan: Looking back in hindsight now, it wasn’t the best investment decision. I could’ve done a better capital growth through something else that maybe wasn’t off-the-plan or maybe was a bit older and had renovation potential, but at that stage, hindsight is a beautiful thing and at that stage, it did tick a lot of boxes that I needed. I didn’t have much of a deposit so I needed to maximize the first time buyer’s grant from the government. By purchasing off-the-plan, I was able to do that. Also purchasing off the plan, I was able to lock it in at that price and then while they’re doing, I had a while to save up a bit more into set myself up a bit better but in terms of capital growth and looking back now, I might have been better off with something else, but also as I previously mentioned, I don’t think I could’ve at that early age buy something else because I just didn’t have the money for it. Jane: What was the purchase price and what do you think it is worth today? Has it done good for you? Tristan: Yes. It’s done reasonable. The purchase price was about $350 and that was off-the-plan and today, it would be worth about $450. I recently had it bank valued and they came in at $450, so it did have bit of capital growth. Jane: You got to be happy with that, making a hundred thousand dollars where you get on with life. Tristan: Yeah. That’s right and it was a foot in the door into the property market and I was able to then use that property to #1 As a place to live because as I have said I don’t have anywhere where I could live in and #2 I was then able to use that equity and purchase my second property and that’s probably the main benefit of having that first one and being able to purchase that at an early age. Jane: If you said that you could’ve bought an older property, one with renovation potential, is that what the second property was? Tristan: Yeah, that’s right. So, the second property, I purchased when, I think, I was in my last year of university, and at this stage I guess I had learned some more from family and friends and from university about property investment and some things like magazines, seminars and everything, podcasts, and I’ve decided I could purchase a 1970s 2 bedroom unit in another bay side suburb in Melbourne, Victoria called Chiltern and I was able to purchase that for about $350,000 and it was in completely original $1970s condition, nothing has been done to it. Jane: A blank canvass waiting for you. So, what was your reaction when you walked in? Were you scared or you saw the opportunity? Tristan: No. I was pretty excited. I was ready to sink my teeth into a bit of a challenge and I had no renovation experience or hooding experience anything like that. I’m not that hands on but I was up to the challenge and the hard work and I just thought this could be fun and it might be able to accelerate and provide better capital growth than the loan. So yeah, I was pretty excited to get into it. Jane: Not having that experience, did you under estimate the amount of work that was to be done? Tristan: Yeah, definitely which was probably a good thing if you don’t realize how much work is involved and the long nights and the costs, you might not get started. And that kind of been a thing throughout my life is that I just have to kind of jump with both feet without thinking a bit naive and then make it work. I think if you over analyse things and wait for the perfect time, you’ll be waiting forever and you’ll let the opportunity go, so often I kind of used being naive and just using that as a benefit and just jumping right in and going for it. Jane: For people listening who are still in two minds about getting into property investing or taking that first step, would you encourage them to jump in? Tristan: Yeah, definitely. I would encourage them to do whatever they can and to just get their foot in the door. It doesn’t matter. You start small and build on that. You don’t have to purchase your dream property for the first one, but small steps and the sooner you start, the better it is in my opinion. Jane: Absolutely. Well, you definitely started very soon at the age of 19. It’s amazing. Just looking at that renovation you did on that second property and you didn’t have the experience, it was probably a bit more work than you’ve expected when you purchased it, how did you get the experience? How did you learn? Was it just on the tools or did you once again have a support network that pulled together? Tristan: Once again, I had a bit of support network in terms of I’ll use my family and friends as slave labour basically, but none of my family or friends – I had my sister there obviously but she’s not a builder herself. She is a developer that doesn’t do the building herself. She didn’t have that background but she was able to lend as much as a hand as she could or provide as much knowledge as she could but basically I will just start – before the property settled, I’d go through and realised okay we need a update the bathroom, put in a brand new kitchen, update the laundry, paint, do the floorboards landscape and so then I broke it down and then while I was waiting for the property to settle, I also arrange to get early access to the property. Jane: And just getting quotes a well, getting the quotes in and so you can start since you pick up the keys. Jane: It’s amazing what’s on YouTube isn’t it? Jane: Yeah. That’s what John calls “just in time learning.” You find out what you need to do tomorrow and you’ll learn it the night before. Tristan: Yeah and people think, “How does he know? How has he done this?” But they don’t realise that that we just googled it the night before. Jane: And I know with quite a few of my renovations, my friends stopped coming around because as soon as they walk in the door, we’d give them a paintbrush and they’re like, “We’re not going to Jane ___ house anymore. They’ll just make us work.” But they learn a bit don’t they? But it’s nice when you can have everyone over for that house warming when you celebrate. So, how much of the renovation end up costing you? Tristan: You have to get it done within that time period. It’s amazing how much you can get done when you need to and when you’ve got no other way of going about it. In the end, it did take me a bit longer and then I was juggling uni, full time work and renovating which wasn’t good. I don’t recommend that to anyone. Jane: But it’s what a lot of people do, well they don’t do uni, usually full time work and renovating. Tell me, were you living there at the time? Tristan: I was still living in the sale property which was another good thing because I’ve got friends who have recently gone through the renovation process whilst they are still living in there and they just decided that they’ll never do it like that. It ended up taking them a lot longer and been a hard lot harder once you’re living in there and trying to juggle renovating the bedroom and living out in the lounge room and then swapping. I was fortunate enough we were able to gut it and it was a lot easier I think not being in there. Jane: I find that I spend quite a few night sleeping on the kitchen floor while floor boards are drying or something, but I find a lot of people when they’re renovating, if they move into a property and renovate, timeframe slip because it’s easy to ”Oh, let’s do it next weekend not this weekend.” Whereas if you have that kind of “I got to get it this done this certain period of time” you’re in and out ad you might be there 2 o’clock in the morning finishing something off but that timeframe or that deadline as you suggested is a good measure. Did you rent that out straight away afterwards? Jane: They didn’t want to leave. Tristan: Yeah. They didn’t want to leave and they were waiting to their place and their place was getting delayed from their builder and we tried to, me and my girlfried who is my fiancée now, we tried to be as good as we could and accommodating but we had, in the meantime, lined up tenants to come into that Edithville property, so we we’re trying to tell them, “If you don’t move out, we are going to have nowhere to live.” And in the end, we had to straighten them taking them to VCAT and book a date and then they kind of realised, “Okay, they mean business.” And they came to the table and moved out but that was kind of interesting as well because usually you hear about tenants maybe just doing a runner but this is the other side of the story where the tenants didn’t want to leave and they’re still good tenants and they’re paying on time. It’s just that we needed to move in. Jane: Maybe your renovation was too good they wouldn’t leave. Tristan: Yeah. I don’t know about that. Jane: So, what do you think you’re – you know, you bought it at $350, you spent $25,000 it sounds over a couple of months in that renovation. What do you think the value was at the end of renovation? Tristan: I think at that time which was about two or three years ago now, once we’ve finished the renovation, the value would’ve probably been maybe about $400 maybe a little bit less than but it was $350, spent that $25 so that’s $375 all up and it might have been anywhere between $380 to $400, so there was a bit of capital growth from the renovation which is good. Jane: Perfect. So you graduated from university with two properties under your belt and we’ve concentrated a bit about property. Tell us about what you’ve been doing since then. Obviously, you’re concentrating on your career. Tristan: Yes. Concentrating on the career a bit more, yes. So now I am a certified practicing valuer and I do a range of residential and commercial properties and so I’m kind of sinking my teeth into that a bit at the moment and also for years I was kind of making a lot of sacrifices when I was pretty young in terms of seeing your friends and you social life and I was just fortunate to find my beautiful girlfriend who is now my fiancée. She was able to come along for the ride but we did make a lot of sacrifices so I guess I am focusing on my career and trying to get a bit of a better work life balance and trying to focus a bit on my relationship and we’re getting married at the end of the year and starting a family pretty soon. Jane: And so, is she into property? Tristan: No. When we first met, we met actually at K-Mart and she was going to university at the same time doing the a similar course in the commerce side of things but anything to do with property and she never really – because I was fortunate with her family and friends, I had my opened to property and the benefits that it can provide where she never really had that experience. Her parents migrated from Russia and they didn’t really speak English and they came basically here with the suitcase right when the Soviet Union collapsed and so they started from nothing and they weren’t used to the whole process of buying a house because I guess it’s a communist country, so things are different for them, and so it was a little bit different so she never had that background or upbringing of that. They don’t have the Australian dream of buying a house and going from there but she has definitely been a really good supporter and she loves learning about what I’m into and then just supporting me she has been a great support no matter what I want to do. She has got my back similar to, I guess, Judy. It’s amazing. All these women, you know, my sister Renee, Judy my foster mum and then Julia my fiancée. It has just been amazing to be supported by all these amazing women so it has been great. Jane: Well, you’ve definitely lived up to their expectations. So tell me, the valuation career, is it what you expect and what has been the learning curve there that you’ve been through in the last couple of years? Tristan: Yeah, so I didn’t realise that going through university and I thought tick a lot boxes because I could see amazing properties and spend my day researching and it’s exactly what I wanted to do and I could learn a lot more about the property industry whilst getting paid for it, so it was amazing. And also, it was beneficial learning about – it really suited me that compensation structure because – I’ll confess, I’m a workaholic so this really suits – the more you work the more you get paid. Jane: Get reward for the work paid. Yeah, that’s right. Tristan: So now, I can kind of focus before getting a family I can focus on my career and really bunker down and try and set myself up a bit more financially. Jane: And tell me, do you specialise in a certain area like – would we see you in the bay side area? Where would we see you if we want to run into you around Melbourne valuing properties? Tristan: Yeah. So, I started in the commercial position and I was doing mainly retail properties with a focus on medical centres and childcare centres. And then, I’ve kind of gone into, my bread and butter is now residential which is surprising. You can actually make more money in residential in valuations than you can in commercial mainly because you’re working on the quantity side of things and you can really smash out the reports but I do it a bit differently. Most people focus on either a residential or commercial but I’m fortunate in my circumstances I do five days a week in residential and then I inspect a few commercial properties and then I do those commercial reports on the weekend. Jane: Great. So you haven’t lost that work ethic obviously. We’re going to have find something for you to do in the spare time, a hobby or something. Tristan: Yeah. I think I get bored easily. Jane: How are the skills that you’re picking up as a valuer and looking at these residential properties, how are you going to be able to use those to further your property investments? Tristan: Yes. We’re constantly being around either like-minded people who have a lot of the people in the offices that are older and who have done their own property investment so you’ve always got someone you can turn to and bounce ideas off. Also, just being in property 9 until 5 five days a week or more is a really good opportunity. You can go through deals and look at what has worked and what hasn’t worked. I think it’s just really good option for anyone who is looking to get into properties. If you can find a job also in the property industry that can really strengthen and that is the same as sales or going to finance or brokering. It’s really beneficial to also be working in the property industry whilst doing that on the side. Jane: I find it fate’s passion because you’re speaking to like-minded people. 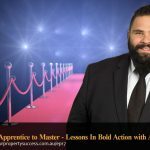 You’re surrounded by a community of people who understand your language of property which is always great but you’ve also got the opportunity to learn yourself and put it in place. Now, you were interviewed a few times in Australian Property Investor Magazine. What was that like for you and what did your friends and family think about it? Jane: You didn’t do it alone did you? Tristan: Yeah. You don’t do anything alone and so the supporters who helped make it happen, I shared with it a fair bit. For most of my friends or colleagues I really didn’t publicise it or make it known. Jane: Look, I’m sure a lot of people are listening today and like me feeling completely inspired by your story and hopefully they’re motivated to take action. So, for someone just starting out, what are the very first steps that you think they should take? Tristan: Probably the very steps, use some resources, the internet, your family and friends and just get a bit of a background. Don’t go into it too naive but then again don’t spend too long trying to figure out everything. The first steps would be use whatever advantage that you have and then kind of seek out professionals in the property industry like your brokers they can really help, real estate agents, speak to as many people as you can and lean on their expertise and then as soon as you built up that base level of knowledge, try and get into it and then learn. You learn so much more once you get into it and start doing it, so I really recommend that. Jane: So, build up a team of supporters first and then a team of professionals to assist you. That’s a great advice. And for those are just starting out, what’s something they should look out for or something they should avoid? Tristan: Obviously, my first property was an off-the-plan purchase and that worked out and provided benefits to certain things but you can be caught out, so be wary of that. Also, we are in a pretty hot market especially Melbourne and Sydney at the moment, so just be mindful. A lot of people can get caught out and over pay and then also you hear there are some people who are unfortunately in the property industry that take advantage of people that aren’t as knowledgeable so just be mindful, but really, the majority of the people you meet are willing to help you and are great resources, so yeah, get into it as soon as you can and don’t look back. Jane: Absolutely. Look, there’s a lot of people listening and just picking up on the fact that they’re hesitant and is this the right time to invest, is the market too hot, for all of the different reasons, you are someone who have succeeded against the odds. So let me ask you this, is success a choice you make and if so when is the right time to make it? Tristan: I guess to a certain degree, success and motivation is a choice you make and there is no better time than the present, so the sooner you can start on that path, the better and also no one is successful on their own and everyone, no matter who, had a benefit along the way or help along the way or been able to lean on those relationships, so just try your best to lean on the relationships, whatever you’ve got, and go from there. But success definitely is a mindset and also I found that, I think it’s Oprah Winfrey that said that, “The harder you work, the luckier you get.” And I think that has been a big part of it because there has been a bit of luck, I’ll admit, with my journey and I’ve been fortunate but it has been true that I find that harder I work and the more I focus and sink my teeth into something, the more those opportunities present themselves and subsequently the luckier I’ve gotten, so don’t be scared to work hard for it because it’s worth it in the end. Jane: Absolutely. Spoken from someone who is only 27 with two properties already. Are there other resources like books or websites that you’d recommend or had been instrumental in your learning? Jane: Yes, yes. My hero. Tristan: So, her books were definitely fundamentals both to me and my sister when she was getting into property development years ago and there are all the forums online about property which are free resources and have a huge community of people that have been through those experiences and have advised and are willing to offer it. Those forums have been a huge benefit, and then, obviously, you’ve got your Google and your YouTube that you can always turn to. If you’re not sure how to do something, there’s always someone somewhere around the globe who has been in your shoes who has done it and is probably willing to provide their advise, so they’ll just a put video up on how to do it. Jane: Great, absolutely. If you’re going to summarise, what has property done for you, obviously, your career is in property as well as the moment and what do you want to do in the future? Tristan: At the moment, like I’ve said, I’m focusing more on my career and I just want to build up of being pretty high leverage as you can imagine and taking on a fair bit of risk and being kind of pushed right through the boundaries of what my income could accommodate. So, at the moment now, I want to work on minimising those risks and build a bit of a nest egg and make sure that there if there are any problems, which there will be going forward, no doubt. There are always things that come up, so I just want to put myself – build that financial safety net. But going forward, the plan is probably the next purchase will be my family house where I can start a family. That would probably an older property in as good a suburb as I can afford. At the moment, it’s pretty hard in Melbourne because the prices are going through the roof but I want something with a bit of renovation potential which we can renovate down the road and build a family. And then going forwards from that, I want to probably get into more the development side of things or the commercial property investment side of things. Tristan: But that might be a bit further down the road. Jane: Well, you’re definitely talking my language. I like that buy the established old property and renovate, so we’ll have to check back in later and find out how that family home goes with you. Jane: Just looking back for the moment, you had a turbulent start to your life and things could have worked out differently for you. Why do you think they didn’t and what do you put that down to? Tristan: Yeah. I’m not sure. It’s hard looking back definitely in my childhood and I don’t want to say it was a bad childhood, I always refer to it as an unconventional childhood, but it’s just funny how resilient children are. I didn’t know any different. I didn’t know that most families – my parents were divorced and then I moved to Canada, then I moved to Darwin, ended up with a foster mum. When you’re a kid, you’re kind of just in for the ride. You’re a lot more resilient I think than when you’re older as an adult. So, my number one thing would be – because I don’t think I haven’t that many advantages and I’m not that academically smart. There’s nothing I wasn’t born genetically gifted in any way, but I think the number one difference between and other people that haven’t done that yet, is just hard work. I think hard work is probably 90% of it. Some people might be fortunate with other things and they don’t have to work as harder. For me, with university, I was able to finish top of my class for both those degrees and that was just 100% down to hard work. There are a lot of other students that were a lot smarter than me naturally, but I just put in the hours and that’s the same with my career and property investment. I find that really it comes – those talents, your natural talents are only going to get you so far that really, the differentiating factor, my competitive advantage I guess is just my work ethic and just willing to work as hard as you can until you get those results. Jane: That’s amazing. And as you’ve said, “The harder you work, the luckier you’ll get.” You’re truly inspirational and so humble. You share that success of what you’ve done as such as young age with Renee, Judy and Julia and you have been a wonderful guest and I really thank you for sharing your story with us because I know that a lot of people will be inspired by it especially those who might be a bit hesitant about jumping into the market or taking the first step to hear from someone who has started so young and just put their head down and worked and worked and worked and made it happen. You are a great testament to where you are today, so thank you so very much Tristan. Tristan: Thanks for having me. Thanks Jane. Jane: Oh my. Talk about overcoming adversity. John: Yeah. What a fantastic story and what a terrific guy too. Jane: It’s just so nice and someone so young. You really look back and you go, “Gosh, one of the things I regret the most, not starting earlier.” And as for Tristan, my gosh, he was straight onto it wasn’t he. John: Yeah and very humble as well. What did he say? “I wasn’t blessed with any gifts genetically” I think he said but he certainly made up for with hard work and yeah some great people at critical points along the way. John: Yeah. Her kids were in their 20s, yeah. Jane: And she’s gone, “Hey, I can take on a 9-year-old” and I can imagine it would’ve been a nightmare. I have a 9-year-old. I can’t imagine it would be an easy 9-year-old having been in many schools and being passed around a bit. John: Well, he was a naughty kid. He’s behind at school. So, she saw past those symptoms and took him on but yeah you hear that quite often, don’t you, with people – there was a teacher, there was a coach, there was a friend of the family or someone that took an interest and gave them that little bit of encouragement that really changed the direction of their entire life. Jane: It was interesting. I was having a chat with my mentor recently about who were the people who really inspired him and right back at school there was teacher who didn’t give up on him when he had dyslexia. He couldn’t read and all of a sudden he was in this class and he went’ Oh, my gosh. It’s a P.” And it changed his life and now an avid reader and an incredible person. He can’t even remember her name. John: And she wouldn’t probably know about him. Jane: No. So, you don’t know often who those people are when they come into your life and I know the reason that I love teaching and I love just sharing my knowledge or the people that I know and their knowledge with my students and community is just that “A-ha” moment. I just love that moment when the lights go on and they go, “Oh my God. I get it because I know how important those moments were for me. 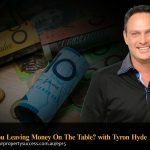 “ We talked to Kim Kiyosaki recently but sitting under a tree in New Zealand reading Rich Dad, Poor Dad does your money work for you or do you work for your money? That was a light bulb moment for me and I live for creating those moments. John: The piece of exposure that you had that was right at the right time. Jane: Absolutely. Because sometimes you do get introduced to things and it’s not the right time for you but… Go Tristan! Not only did he have that very very strong foster mother, Judy, who was there by his side but then he stepsister, she was in her 40s and she gave him that ultimatum. John: Yeah. You can either stay at home and keep on partying and I’ll charge you rent or save up on deposit and you can stay here and I’ll cover all your expenses and board. Jane: And talk about someone who – this is a guy who is not scared of hard work. John: No, that’s exactly – I thought that when I heard him say it. I mean, he made a smart choice choosing the deposit over the partying but you still have to get up when the alarm goes off morning after morning and make that decision to go to work and keep on working and he stuck at it and that has been really a theme for him hasn’t it? Just that diligence and the hard work. Jane: Exactly. Tristan bought his first property whilst at university. Jane: I’m thinking the same thing, didn’t want to say it publicly but I’m thinking I did have other priorities at that time and thank goodness he had that fabulous mortgage broker who have him some ideas. He bought that off-the-plan, he leased the other room to someone else. John: Yeah. Actually, it reminded me, we had another member of the community, Steven. Jane: To create his deposit. Jane: That’s how determined he was to make some money. Jane: Absolutely. And I guess the thing is that not only did Tristan buy that first property and made that commitment and work and go to uni full time and now he’s putting his attention into his career and gee working hard at that as well. John: Yeah, sounds really good. So it’s interesting he’s doing a mixture of – I don’t actually know this, commercial valuation that specialises in childcare centres, so obviously, the niche is right down that whole valuation thing which would make sense it does. But he’s also doing the residential and it sounds like he’s churning out a few of those and having an equity for himself. Jane: Absolutely. I didn’t realise though compensated on the job done rather than having a base salary, so he’s definitely not someone who worries about hard work. So, thank you to Kieran who introduced him to us because truly I can see why he thought he was one of the most inspirational stories that he’d covered. John: It was a great heads up, and yeah, if anyone else has stories like that and would like to hear on the podcast, we’d love to hear about it. Jane: Absolutely, absolutely. We always get excited about hearing about people’s successes don’t we? John: Yeah. It’s great. It’s just great. We’ve had some great guests obviously, some really top experts but it’s really good to hear just the stories of normal everyday people in property investing and making a real go of it. Jane: And they are the books that I really enjoyed in the beginning when they just had the simple stories that people talk because sometimes it says you can look at the top of the mountain and go “Oh my God, I can never get there.” But you can look at the baby steps and go geez, if just do this one thing and just this next thing and just this next thing and then it becomes absolutely achievable and that’s what I like about this. Buy it off, have a go, do something, get in there, take some action, and that’s the real thing that a lot of people don’t do. John: Absolutely. He is a really humble guy isn’t he? He said, “Yes, success is a choice you make but no one does it on their own everyone has help along the way.” And yeah, he certainly had some help with those critical points, but gee, he made the most of it. Jane: When we talked to him about who does he turn to online and books and thinhs to listen to, he came out with one of favourites. Jane: Yeah. And if you haven’t heard of that podcast, go to podcast 2 and listen to the episode with her. She is amazing in herself. But today, a very different episode John and one that I hope inspired all of you listening in the way that it has inspired us. And now John, we have come to that moment in each program that everybody is waiting for. Sarah: Hello. Yeah. I guess I’m here now. Jane: And now, are you playing for Perth Sarah? Sarah: Yes please. I’ve only been in Australia for a couple of years, so I don’t know an awful about anywhere but Perth. John: Okay. Wow. I’m just looking again at our list questions here and given that little bit information, we might ask the third one rather than the first one. It’s particularly cruel with the first one I thought. Jane: I thought it was nice. Okay. John: So, Sarah, are you familiar with the rules? Sarah: Yes. So, what’s the question? John: Okay, I’ll give it to you now. Can you name 10 Perth suburbs with two words in the title? Sarah: Peppermint Grove, Wembley Downs, North Perth, South Perth, East Perth, West Perth, [unintelligible]. John: Seven. Ten seconds. Keep going. Sarah: South Fremantle, East Femantle. John: I think that’s ten. Jane: I think that was eleven. Good job and well done to that voice in the background too. Sarah: Yes, it’s my husband. Jane: Fabulous. I didn’t know she would think of the east, west, north south but that was fabulous. That your lateral thinking all over you. You’re going to have access to Your Property Success Club, the annual membership and we’ll organise that for you too Sarah. Well done and I’m sure you’ll be able to use it to be get to know other suburbs and other states as well. John: Thanks Sarah. And if you would like to be a contestant on Suburbs Against the Clock or you have a suggestion for a question for our contestants, please contact us at support@yourpropertysuccess.com.au and use the subject line, Suburbs Against the Clock. 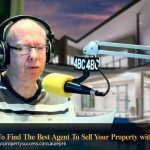 And as always, for the full transcript for today’s show and all of the show notes and links to everything mentioned in the show including some free property investment training for our community, go to yourpropertysuccess.com.au/ep13. That’s your property success dot com dot A-U forward slash the letter E for echo, P for papa and the number 13. So, that’s all for today. Thank you to Tristan our wonderful guest and a huge shoutout to his foster mum, Judy, you are a wonderful person. You’ve created a wonderful person and you must be very proud. Stay safe everyone and here’s to your property success.